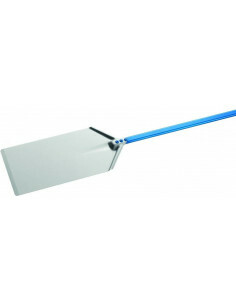 PWD System for remote water drain (easy-fit installation) with AgION antimicrobial agent in molded plastics parts. 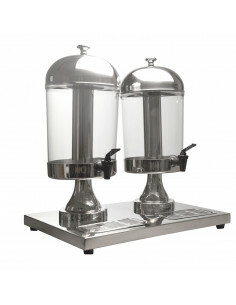 Produces individual Gourmet crystal clear supercubes. 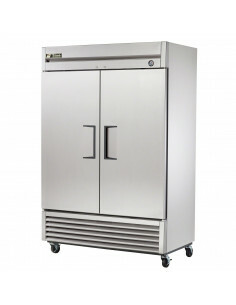 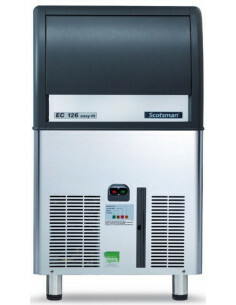 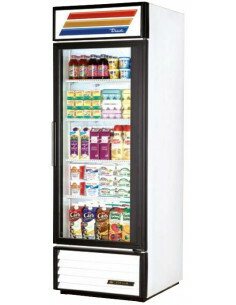 Up to 39 kg daily ice cubes production with up to 19 kg ice storage capacity. 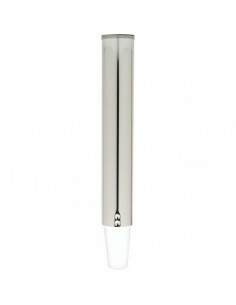 Removable and washable front access condenser air filter. 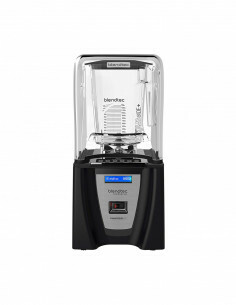 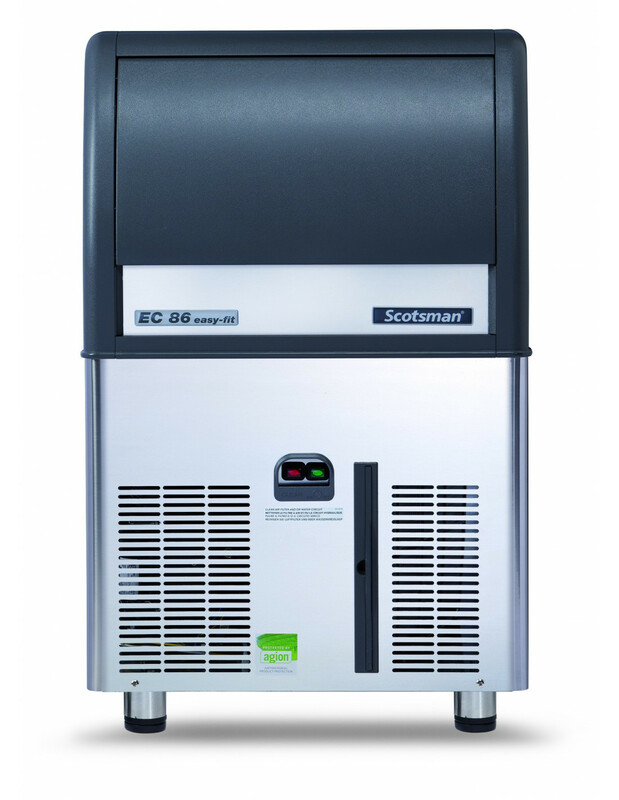 The EC86 is designed to produce high quality crystal clear gourmet supercubes. 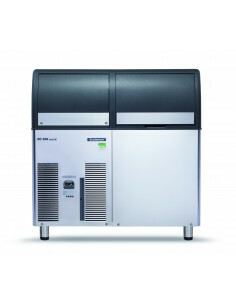 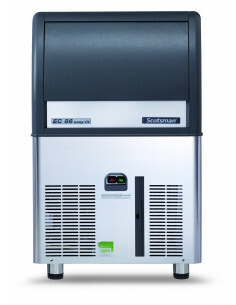 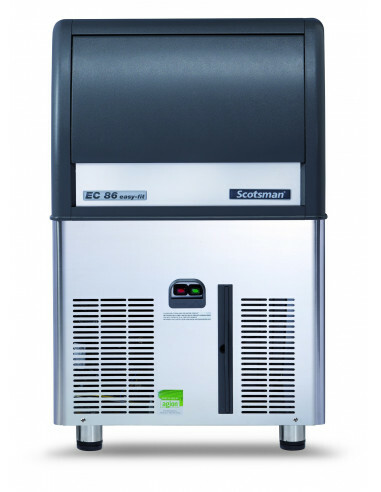 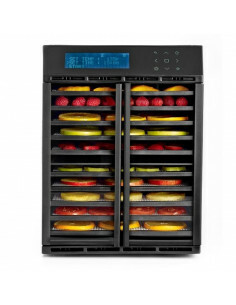 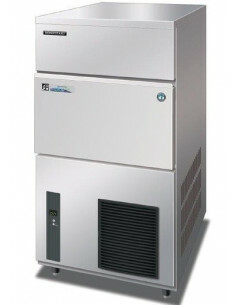 The unit can produce up to 39 Kg of ice cubes within a 24-hour period. 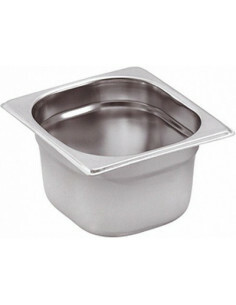 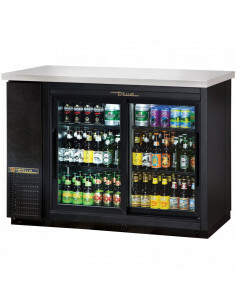 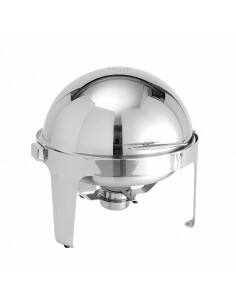 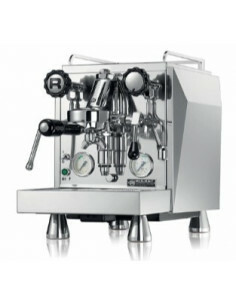 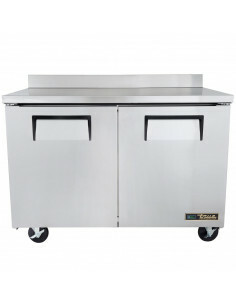 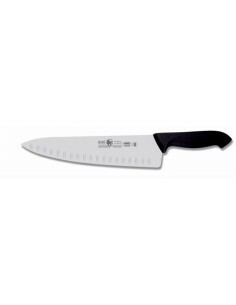 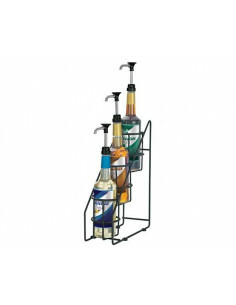 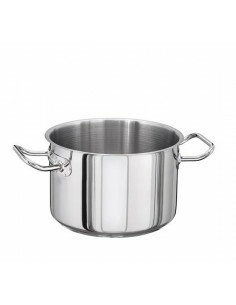 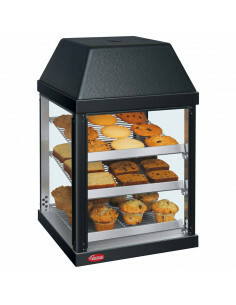 It comes with a highly resistant stainless steel exterior. 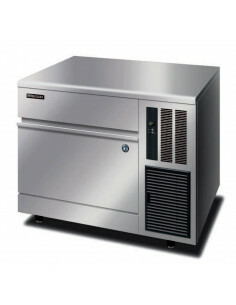 The unit can be controlled using simple and yet reliable electromechanic controls. 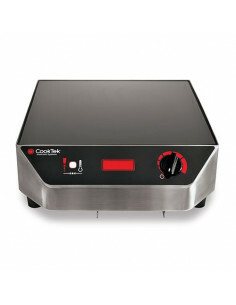 It has a storage capacity of up to 19 Kg. 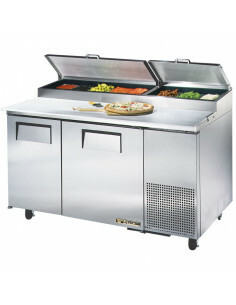 The condenser air fliter of the unit can be accessed from the front and is washable. 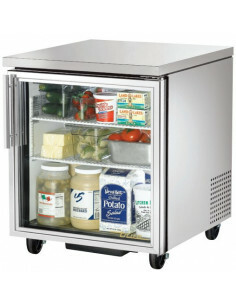 The On/Off Switch of the unit is placed conveniently at the front. 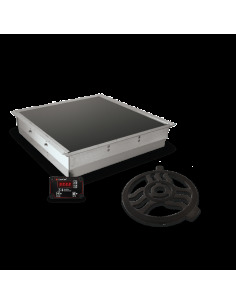 The unit comes with a Routine Maintenance Alarm light, which tells you when you need to perform routine maintenance tasks. 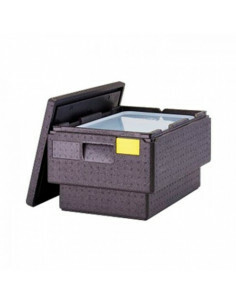 It has a door closing movement dampening system which reduces the risk of damage. 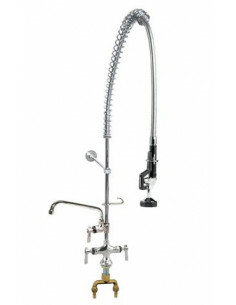 Has an optional PWD system which can be used for remote water drain.